One of the great things about vision research is all the cool illusions. 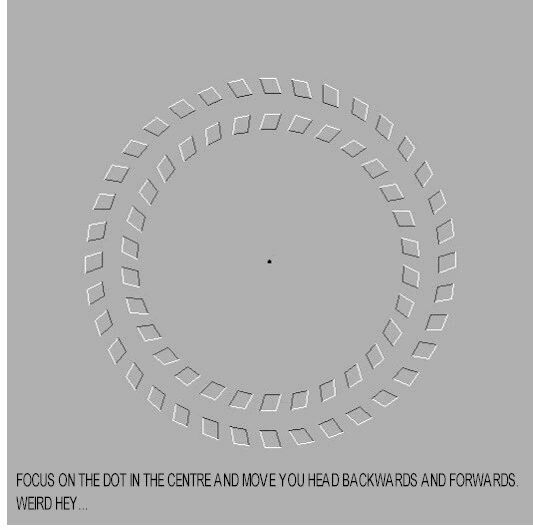 Visual illusions are wonderful tools for understanding the visual system. Usually, your brain does such an amazing job of reconstructing the outside world from the pattern of photons flickering on your retina, that it’s hard even to appreciate how incredibly complex the task actually is. Visual illusions occur when your brain makes a rare mistake — often because it’s made an assumption which turned out not to be true. 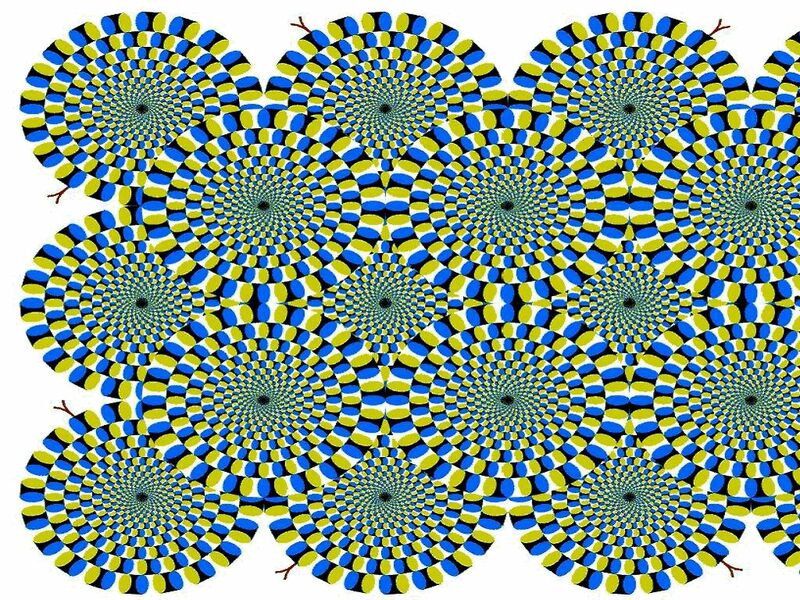 Exploring how and when visual illusions occur can uncover the assumptions the brain makes about the world, and reveal how it does such a good job of constructing our visual reality. This lovely illusion was made by Aude Oliva (Massachusetts Institute of Technology, Cambridge, USA) and Philippe G. Schyns (University of Glasgow, Glasgow, UK). Which face looks nice, and which scary? Now walk back several feet from your computer and look again from across the room. (If things look the same, you may need to walk back a bit further! If you’re short of space, try scrunching up your eyes). Now which face looks nice, and which nasty? Explanation This image was made by taking an angry male face and a neutral female face, and filtering them both twice, once so as to remove the low spatial frequencies (the broad regions of light and dark you see if you scrunch your eyes up) and once so as to remove the high spatial frequencies (the details that you can only see up close). The left-hand image is a composite of the low spatial frequencies (SFs) from the woman’s face, and the high-SFs from the man’s, whereas for the right-hand image, it’s the other way round. Up close, the high SFs dominate, and the left-hand image looks nasty. When you move further away, you can’t see the high SFs, because your visual system can’t see fine detail from that distance. So, you lose the monstrous high SFs in the left-hand image, making it look normal. Conversely in the right-hand image, you lose the high SFs depicting the female face, and all you are left with is a blurred image of an angry male face. Pretty cool! This illusion, created by A. Kitoaka, is so powerful it’s hard to believe it’s not really an animation. But you can check — notice how the “snake” you are looking at never squirms, only the ones you can see out of the corner of your eye… Backus & Oruc present an explanation of this illusory rotation in terms of temporal phase advance in the neuronal response at high contrast (article here ).